It’s a little-known fact that tax liens can be purchased with retirement account funds. By using a Self-Directing IRA to purchase tax liens, your profits are tax-deferred back into your retirement account. Tax lien and tax deed investments have become popular investment choices for many Self-Directed IRA plan participants. Beginning in 2009, as foreclosures continued to pile up, many properties were saddled with unpaid property taxes. For some investors, this created a great investment opportunity. Tax collectors in twenty-nine states; Washington, DC; Puerto Rico; and the Virgin Islands use tax lien sales to force owners to pay unpaid property taxes. The process varies by state, but here’s how it generally works: When property owners don’t pony up for their property taxes, tax collectors wait the time period required by state law and then put those unpaid property taxes up for auction. The time period varies from just a few months to several years, depending on the state. In most states, the person willing to pay the most cash for the tax lien wins the auction. Some states, however, have a bid-down process, where investors’ bids indicate how much interest they’re willing to accept on their investment, and the lowest bidder wins. Whatever method is used, the tax collector takes the payment for the overdue taxes from the winning bid. In exchange, the purchaser gets a lien on the property. As the winning bidder, you’d get a return on your investment in one of two ways: interest on your bid amount or ownership of the property. With a tax deed, on the other hand, you will actually own the property in which the owner has been delinquent in paying the property taxes. A tax deed sale generally involves property being sold by a taxing authority or the court to recover delinquent taxes. Real estate has long been considered one of the best (and safest) investment opportunities for both the large and small capitalist. Savvy investors know that the trick to making money in a downward spiraling market is to purchase properties for a fraction of their value. The question is…How? Many are finding the perfect answer in the high-profit possibilities of investing in Tax Lien Sales. When a property owner falls behind on their taxes, failing to pay for one or more years, the local taxing authority has the legal right to place a lien or repossess the property and sell it at auction to recoup the lost tax revenue. How long local authorities wait to seize individual properties, and how much they allow to be owed on it before one of these events is up to the lien laws in their particular area. In many cases, properties may be acquired for a few thousand dollars, regardless of how much it’s actually worth! Similarly, paying off the lien on others may cost more than the house or land is worth. A savvy investor takes the time to research each property carefully prior to sale day. Tax liens are backed and leveraged by real estate and guaranteed by the governmental taxing authority. In most states, they are a first lien on real estate, and when foreclosed, they wipe out all junior liens, including mortgages. This allows you to potentially receive a valuable piece of real estate for pennies on the dollar! 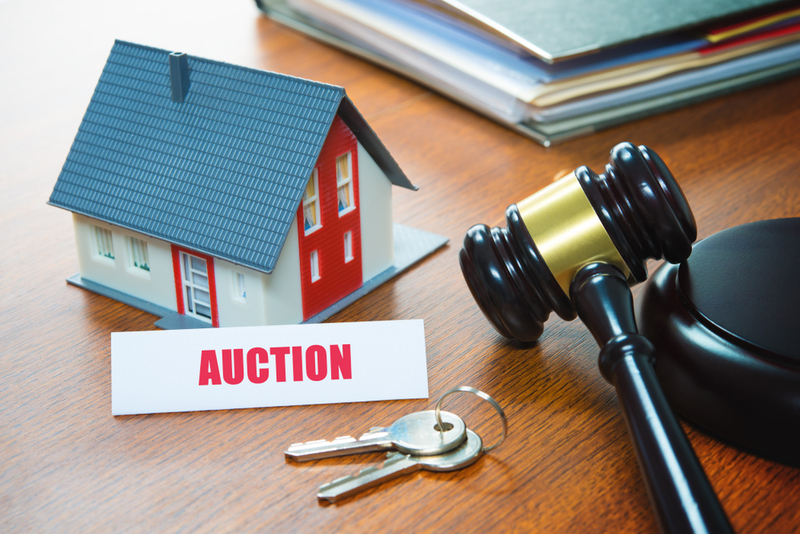 Tax lien sales usually happen at public auctions once or twice a year, depending on the area in which it is located, and how many properties the government may seize annually for back taxes. Larger urban areas may hold monthly auctions, while smaller rural ones might only have one a year. There are two types of tax lien sales through auction: the tax lien certificate; and the tax lien deed. Both can be a safe, yet profitable opportunity for investors with Checkbook Control. 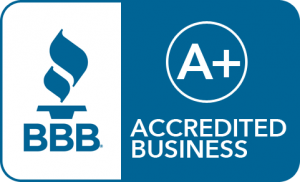 Tax Lien Certificate sales offer the delinquent homeowner one last chance to retain ownership of their property, by using third-party investment money to pay off the taxes and give them a bit more time to collect the money needed to pay their debt without the risk of losing their home. When an investor bids on a tax lien certificate, he is in essence agreeing to loan the homeowner the money needed to pay all taxes due. The homeowner, in turn, agrees to pay back the tax lien certificate holder – with interest – by a specified date. If the homeowner fails to pay the debt on time, the deed to the property is transferred to the investor for the amount paid on the taxes. Either way, the investor makes a profit: either on the interest he earns on the loan; or by obtaining the property for a fraction of its value through the tax lien sale, and then reselling it. Tax Lien Deed sales are handled a bit differently, since the investor is actually bidding (or buying) the complete property at the time of auction, with no responsibility to give the homeowner more time to pay his/her tax debt. Once the selling price is approved, the deed is automatically transferred to its new owner, giving the investor full reign as to what to do with the property next: renovate it; sell it as-is; or raze the existing house and build anew. Investors usually pay more for properties in this type of tax lien sale, which may lower their profit margins compared to the acquisition of tax lien certificate properties. But, many investors prefer outright purchases to eliminate problems with current homeowners. Either way, investing in tax liens is a profitable and easy way to enter the real estate market in virtually any area. IRA Financial Trust Company offers Self-Directed IRA investors’ full IRA custodial services for traditional and alternative asset investments, such as real estate and tax liens. All IRA funds will be held with Northern Trust, an FDIC insured global banking leader for over 125 years, before the client directs the funds for investment. The first step to buying tax liens with a Self-Directed IRA is establishing an IRA account with IRA Financial Trust. Once your new Self-Directed IRA account has been established, IRA Financial Trust will assist you in rolling over any existing retirement funds tax-free to the new Self-Directed IRA account. You can also make IRA contributions directly to the Self-Directed IRA account. IRA Financial Trust will serve as your IRA custodian and Northern Trust Company, an FDIC insured global banking leader for over 125 years, will be the bank where the rollover funds or IRA contributions are deposited. Once your funds have been transferred to the new Self-Directed IRA account with IRA Financial Trust, you will then direct IRA Financial Trust Company to purchase tax liens. IRA Financial Trust, as IRA Custodian, will be required to sign all tax lien related transaction documents on behalf of your IRA. Tax liens are one type of investment where using a Checkbook Control IRA LLC is almost necessary. Because, in most cases, tax liens are purchases at auction, funds must be available to make the purchase in order to acquire the tax lien. Using IRA Financial Trust’s Self-Directed IRA LLC with Checkbook Control will allow one to purchase tax liens by simply writing a check from the LLC account. Whereas, using IRA Financial Trust’s full-service custodian services will require that IRA Financial Trust execute all tax lien related payments, including writing the check for the purchase of the tax lien, which will make purchasing tax liens nearly impossible due to the inherent time delay. By using a Self-Directed IRA LLC Checkbook Control account with IRA Financial Trust, one can literally carry a checkbook into the auction or attain a certified check associated with the LLC account in order to make the tax lien purchase. IRA Financial Trust’s Self-Directed IRA LLC with Checkbook Control account gives one incredible freedom to fund the investment at a moment’s notice. In this arrangement, you can buy tax liens with the stroke of the pen, without a custodian or other bureaucrat saying no or otherwise trying to slow down the process. IRA Financial Trust Company is a regulated, non-banking financial institution that is made up of retirement tax specialists committed to helping you make Self-Directed retirement investments quickly while minimizing annual fees. IRA Financial Trust Company was founded by tax attorneys who worked at some of the largest law form in the world, including White & Case LLP and Dewey and LeBoeuf LLP and have helped over 12,000 clients self-direct their retirement funds through their ownership in the IRA Financial Group LLC. Our experience working with Checkbook Control IRA LLC structures is unmatched in the industry. The first step to buying tax liens with a Self-Directed IRA is establishing an IRA account with IRA Financial Trust. Once your new Self-Directed IRA account has been established, IRA Financial Trust will assist you in rolling over any existing retirement funds tax-free to the new Self-Directed IRA account. You can also make IRA contributions directly to the Self-Directed IRA account. IRA Financial Trust will serve as your IRA custodian and Northern Trust Company, an FDIC insured global banking leader for over 125 years, will be the bank where the rollover funds or IRA contributions are deposited. Once your funds have been transferred to the new Self-Directed IRA account with IRA Financial Trust, you will then direct IRA Financial Trust Company to purchase an interest is a newly established Limited Liability Company (“LLC”). The IRA will own the LLC and the LLC will be managed by the IRA holder or a third-party, as set forth in the LLC Operating Agreement. Once the IRA funds have been invested in the LLC by IRA Financial Trust, the manager of the LLC will be able to purchase tax liens directly by simply writing a check or sending a wire. Work with a Self-Directed IRA facilitation company, such as IRA Financial Group, or a tax attorney to help establish your special purpose LLC, acquire the LLC Tax ID#, and draft the LLC Operating Agreement. All expenses paid from the investment property go through the Self-Directed IRA LLC. Likewise, all interest should be deposited directly in to the Self-Directed IRA LLC bank account. No IRA related investment checks should be deposited into your personal accounts. All income or gains from the investment flow through to the IRA tax-free! Before using a Self-Directed IRA to purchase tax liens, one should consult with his/her financial or tax advisor to make sure the investment is suitable and right for you.